GameGrape Gaming goes to different game competitions and allows the first 10 – 15 people to get a free 1 minute run through of their game. If there are no more free Let’s Plays but they can always get one on our website. We also review games for free sometimes if we really enjoy a game! Note: If you pay more your video will be brought to the top of the list of videos to do! Get a Let’s Play Video! People can also get a 5 minute video review of their game! (The whole video will be 5-minutes including the rating) In the review there will be commentary throughout with suggestions and such. At the end of the review they will be rated in these categories: Audio, Graphics, Humor, Innovation, Mood, fun, and overall! You may be rated in the Theme category if you are in the Ludum Dare competition which these rating groups were inspired by. Lastly, people can get a written game review (or article review) of their game! In the review we will use the images or resources you sent when you purchased the review in the article. We will go what your game is about, what we like about it, what could be improved, etc; You have an option to get a rating and you can choose to get one in the form after your purchase. 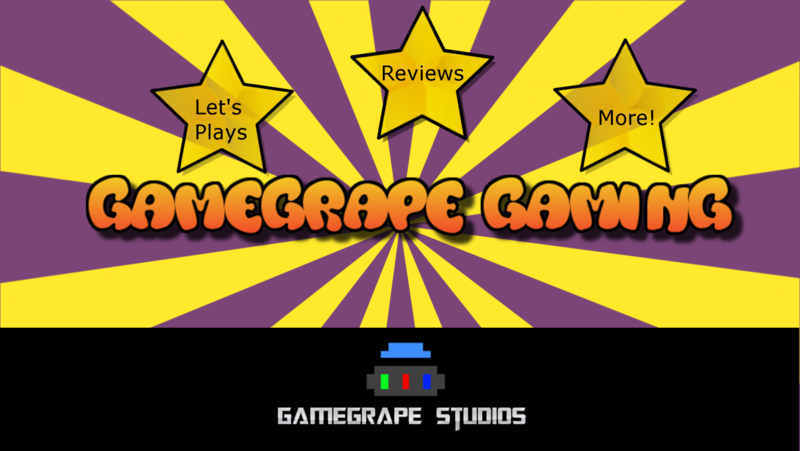 GameGrape Gaming is run by GameGrape Studios www.gamegrapestudios.com. If you have any questions or anything, you can email us at gamegrapegaming@gmail.com.